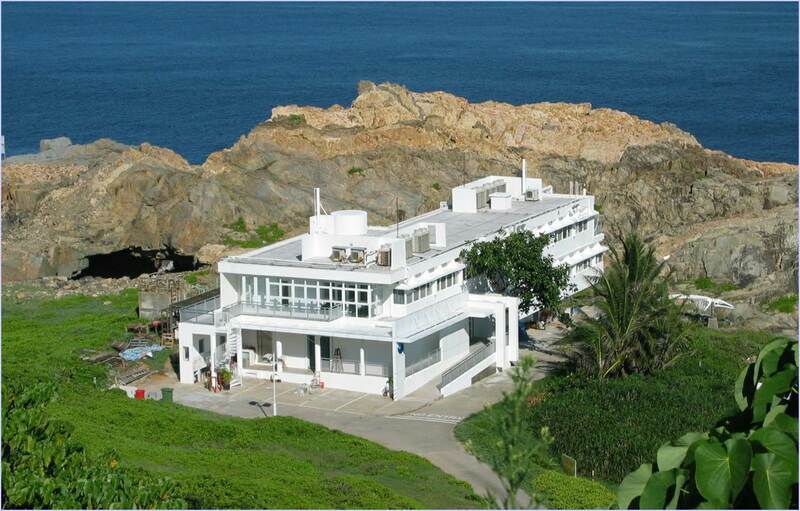 MarineGEO-Hong Kong is headquartered at the University of Hong Kong’s Swire Institute of Marine Science (HKU-SWIMS). Situated on the Cape D’Aguilar peninsula on the shores of Hong Kong’s only marine reserve, SWIMS celebrates over 25 years of regional and international scientific research, outreach and knowledge exchange, as well as service to the community. The marine environment that surrounds Hong Kong is ~1050 km2 in area and is marginal for coral reefs as seawater temperatures swing between 15°C and 30°C and freshwater discharges from the Pearl River Estuary seasonally reduce salinity in the west. Moreover, decades of intense human activity are a constant threat to the coastal marine environment, and manifest as punctuated gradients in water quality. Despite these difficult conditions, Hong Kong is home to patchy bivalve and coral reefs with up to 84 species of hard corals. Overall, Hong Kong is disproportionately diverse with ~5943 known marine species, representing 25% of all marine species recorded in China. This makes Hong Kong a particularly interesting and exciting study site to follow the effects of marine pollution, coastal development, and climate change.